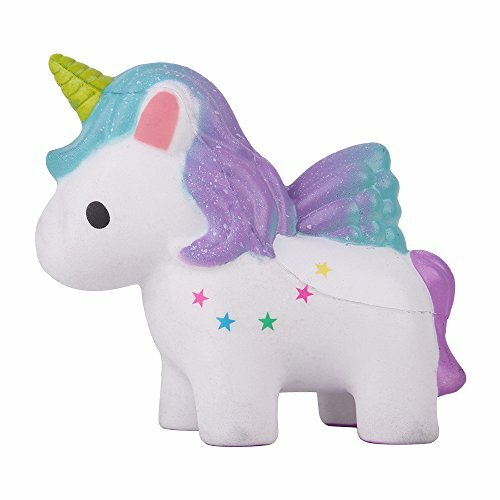 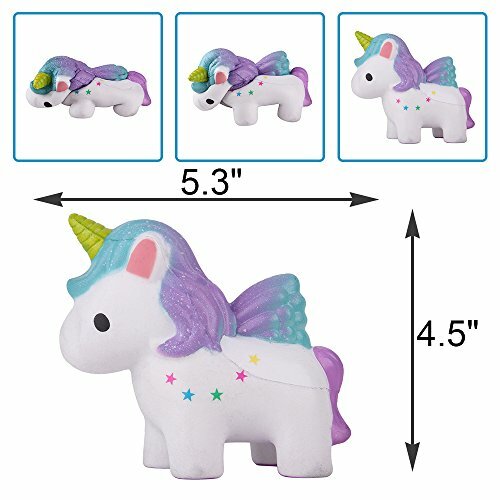 Squishy Unicorn Size: 5.3″(length) x 4.5″(height) x 2″(wide). 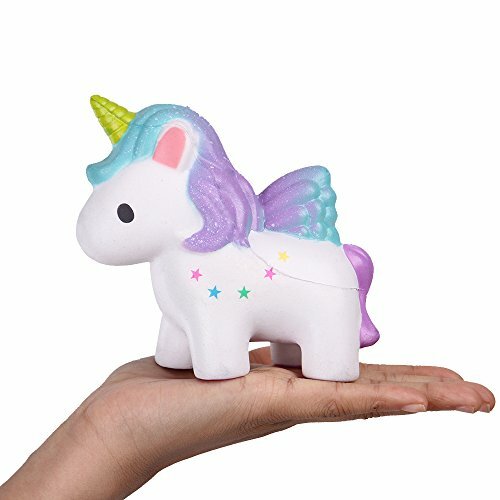 Squishies Unicorn Feature: Kawaii Cute & Soft Squishies & Slowing Rising & Scented & Flexible. 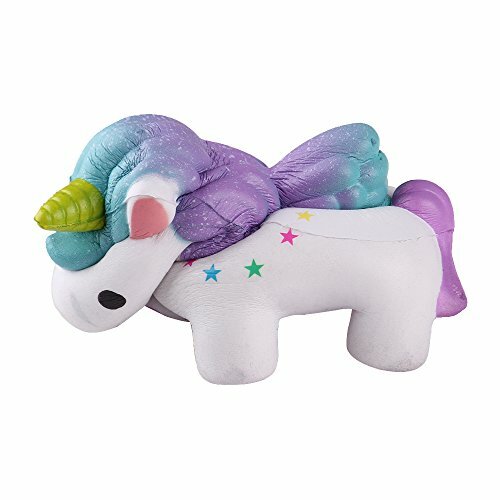 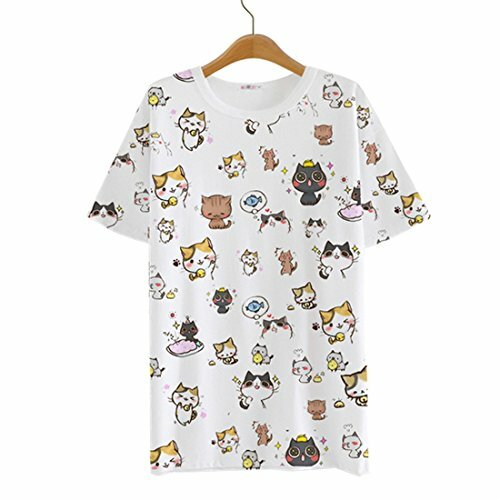 Notice: When you receive the squishies, and after ventilating for 1-2 days, the fragrance will return to normal.Do not Tear it.